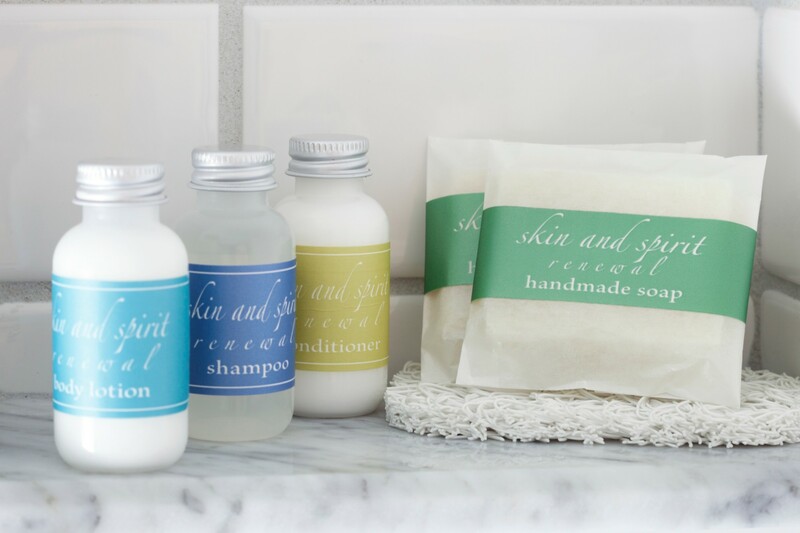 It should come as no surprise to anyone who knows us…we have an affinity for local produce. Why wouldn’t we? 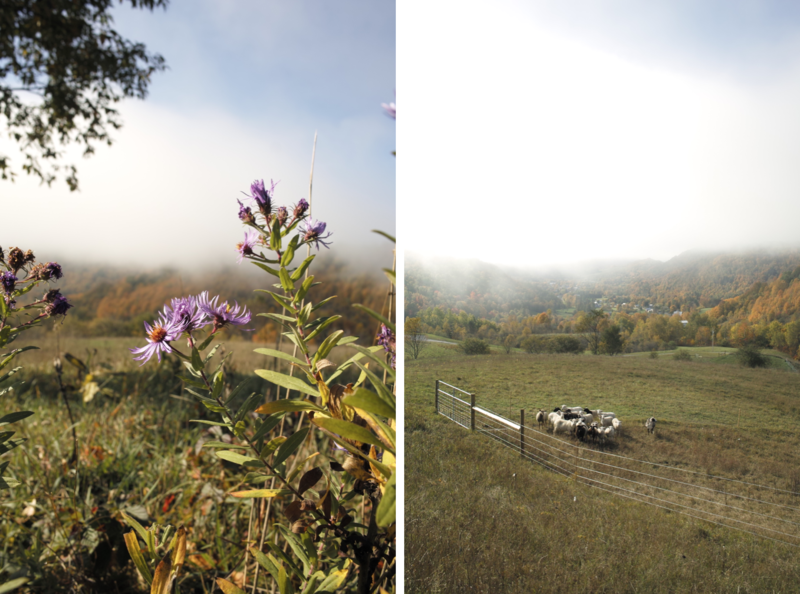 Vermont is now bursting with agricultural vibrance and energy. More and more people are congregating to Vermont, contributing to the resurgence and appreciation for organic, intentional farming. Younger folks are migrating (or returning) to the Green Mountain State to initiate their own agricultural vision, and this is certainly something to celebrate! We encourage you all to hug our farmers this week (in one sense or another)! 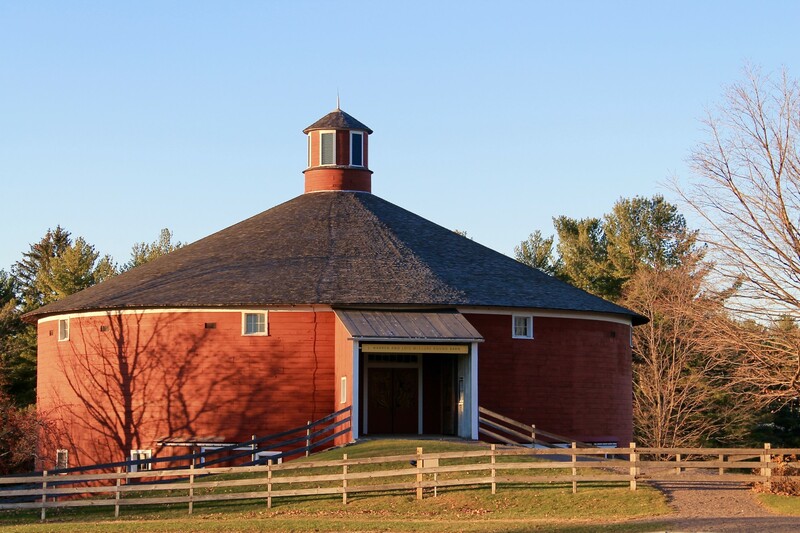 Participate in this year’s Vermont Open Farm Week! From now through Sunday, you can meet the farmers, fields, and animals that contribute to Vermont’s spirited farming heritage. There are many events scheduled to celebrate Open Farm Week, all of which can be found here. From kid-friendly events to culinary treats and hands-on workshops, Vermont farmers are truly coming together to commemorate Vermont’s agricultural history and booming revival. And believe us, there is an event for everyone. I mean, who wouldn’t want to live out their Mad Hatter dreams by sitting down for a tea party at Free Verse Farm, or pet the newborn calves who mature to make the cheese at Vermont Farmstead? 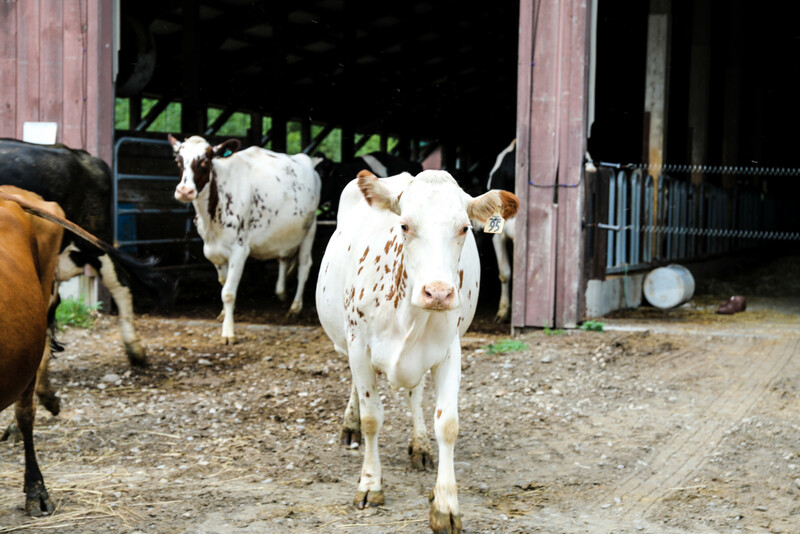 We’re sharing a few of our favorite farms participating in Vermont’s Open Farm Week below. Free Verse Farm – This herb and apothecary farm is dong something rather unique in their pastures. Owners Misha and Taylor are serving up a bounty of naturally-grown herbal teas, remedies, body products, and culinary herbs. Rather interestingly, this duo likes to listen to the land itself. 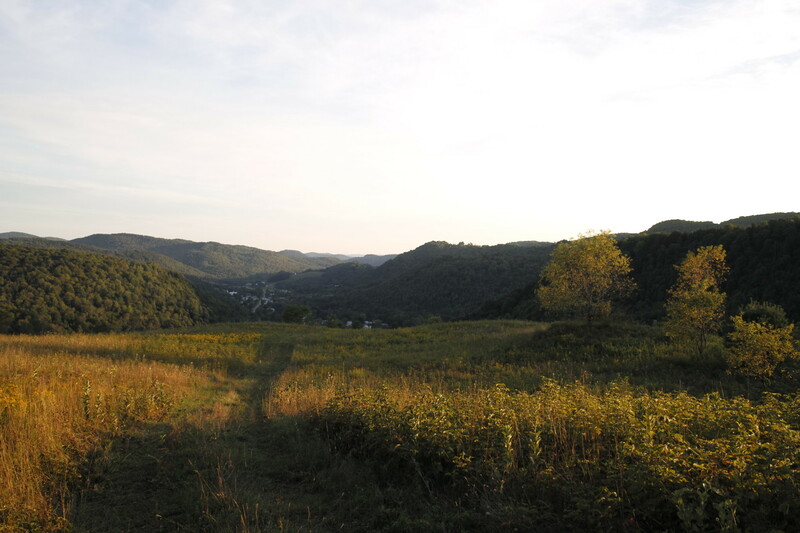 Free Verse Farm accommodates their 38 acres of dry slopes, wet low pockets, open fields, forest, and little meadows to cultivate herbs and flora in areas they naturally flourish. Misha told us, “Herbs are very particular. Elderberry, for instance, likes moist soil. Thyme and oregano thrive in dry soil.” Pockets of herbs grow throughout little habitats on the property and vary seasonally. To contribute to Vermont Open Farm Week, Free Verse Farm is hosting an Herbal Tea Party this Friday, August 18th from 5PM – 8PM. Visitors are invited to tour the farm and sip on a variety of farm-grown herbal tea blends. 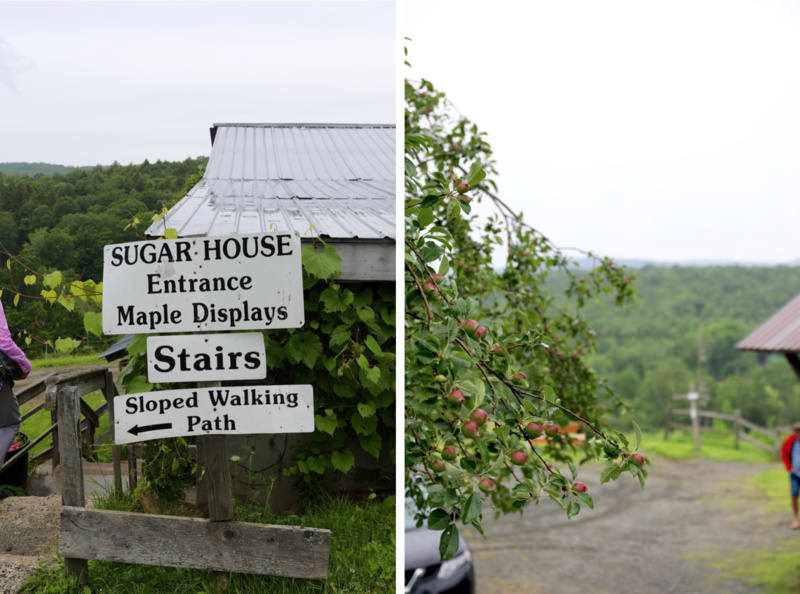 Sugarbush Farm – One of the mainstays of Woodstock, Sugarbush has been promoting “agritourism” before it was even on trend. 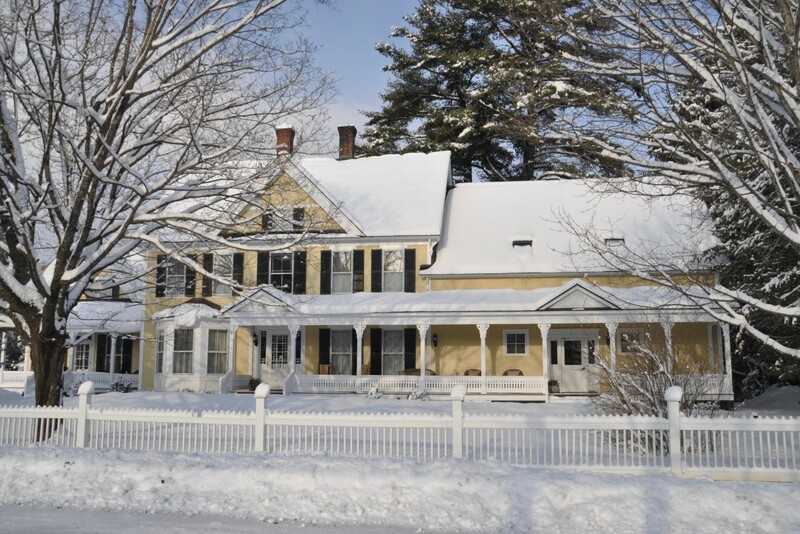 Sugarbush started inviting folks to the farm to sample their cheese and syrup in the 1980s. As word spread, the people kept coming! 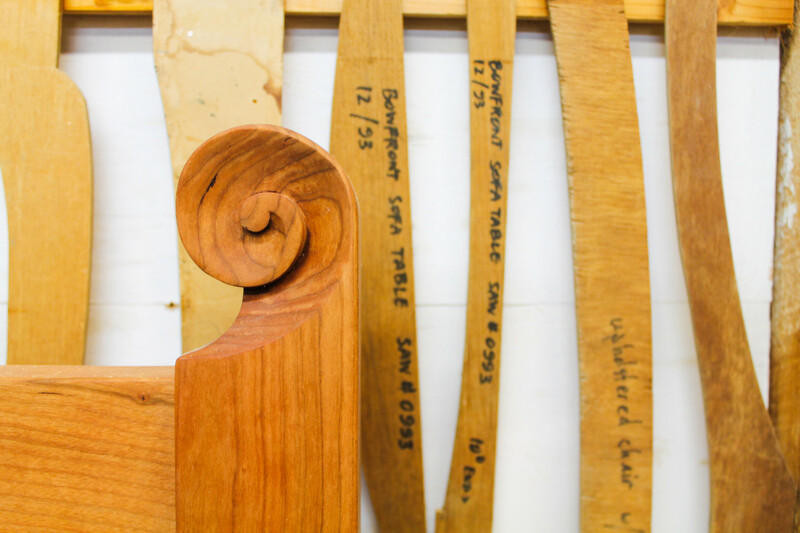 Family owned for 71 years, this traditional cheese and maple syrup farm maintains its bucolic integrity in order to pay respect to the farm’s history, as well as Vermont’s agricultural efforts. Every day this week from 10:30AM – 3:30PM, Sugarbush Farm invites both children and adults to sample maple syrup, walk the maple trail, visit the sugar house, and learn how maple syrup is made in the spring! 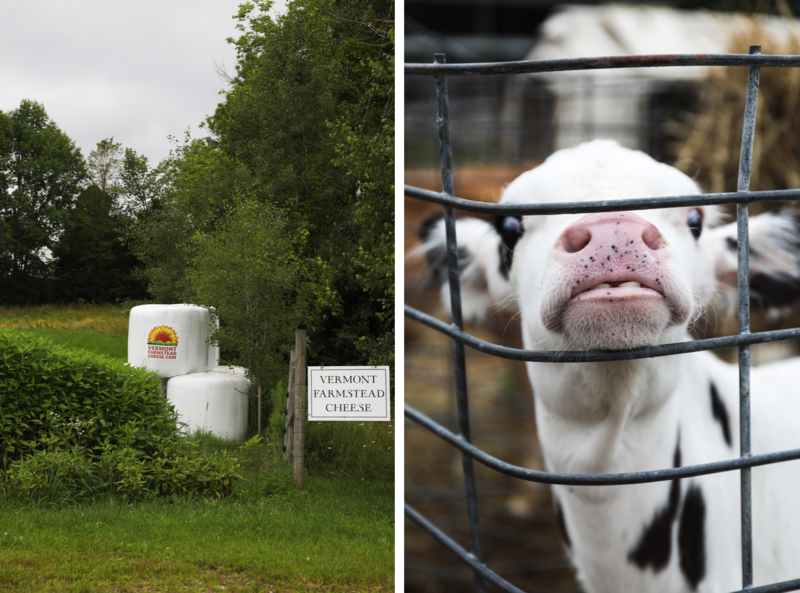 Vermont Farmstead Cheese Company – The product of one community’s incredible effort to revive the bucolic land an old dairy farm left behind, Vermont Farmstead has since drew seasoned farmers and cheesemakers. This land was well-worth keeping within the farming industry. Atop a hill that overlooks undisturbed pastureland and mountain peaks, Vermont Farmstead is a purely magical place to visit from a scenic perspective. The fact that this farm produces delicious, award-winning cheeses is simply the cherry on top. This company normally invites Vermont visitors to taste its cheese in their Windsor VT Market. However, in honor of this year’s Open Farm Week, Vermont Farmstead is inviting guests up to the farm itself for tours and tastings! From Monday to Friday this week, Vermont Farmstead Cheese Company is offering samplings and tours of their farm in South Woodstock from 9AM to 4PM! Other farms we suggest looking into this week? 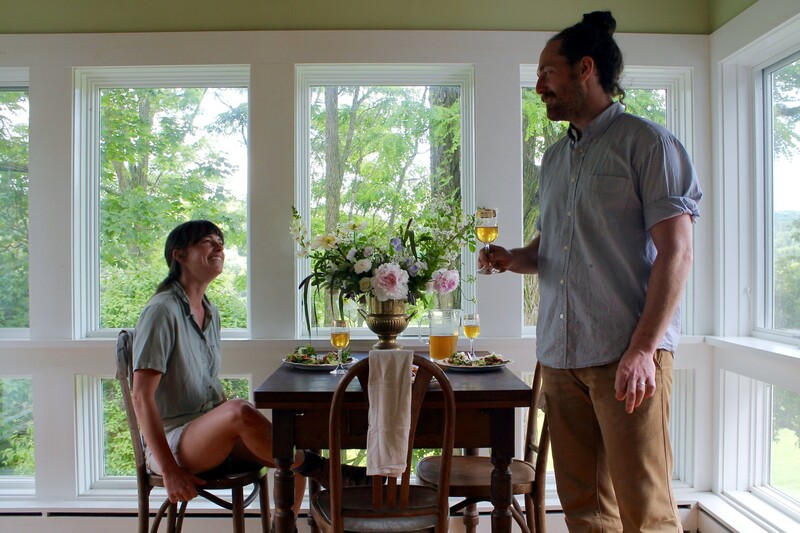 Stitchdown Farm – Our friends, Rita and Andrew, are doing some amazing things over in Bethel VT. Their flower farm and arrangements are not only impressive, but also reflect Stitchdown’s choice to farm with intention. Rita and Andrew work with an emphasis on health, revitalization, and community. In our opinion, they’re ultra cool. You can find Stitchdown Farm at the Wednesday Market on the Green in Woodstock VT from 3PM to 6PM. You can pick up pre-wrapped bouquets (for yourself or a loved one! ), as well as flowers by the stem. Fable Farm Fermentory – Fable Farm is a true reflection of the seasonal bounty, known for its “living wines” made from local fruits, herbs, saps, and honey. The result is a kind of dry cider, matured in the Fermentory’s very own aging cave. Taste Fable Farm’s libations for yourself at their Thursday Feast & Field Markets! Easily described as a scene out of a movie, this market involves live music, farm fresh tacos, various artisans, and (of course) Fable Farm Fermentory drinks.